As you can probably tell we will be talking about my very first super fancy lipstick. 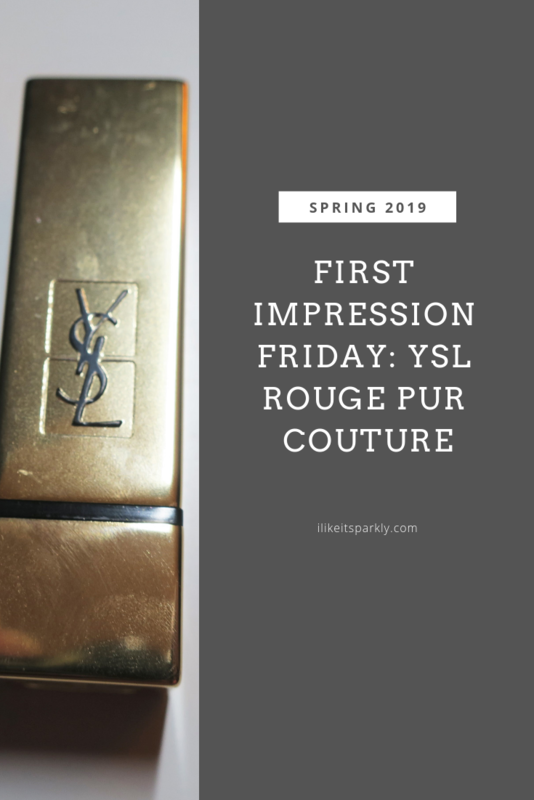 This is all about the YSL Rouge Pur Couture Lipstick in the shade Beige Tribute, this lipstick will run you $38.00 for 0.13oz of product. Which, if you ask me, is a little bit steep but I personally got a really good deal on it and am very excited to try this out, though I am sure that it will be just like most other good lipsticks that I have used before. Now let’s talk packaging for a minute, I do not like this packaging. It does feel rather nice and heavy, as you might expect from a nearly forty dollar lipstick. 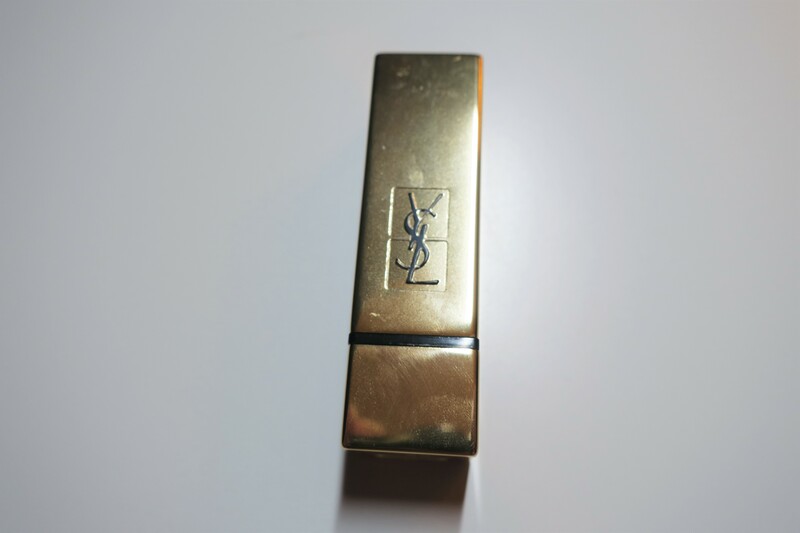 And I really like the YSL embossed on the lipstick itself, I think the feels really nice and very much high end, but I hate the look of this. The gold is kind of tack to me and it collects fingerprints like no other, as you can see in the photo above. I barely handled this lipstick and it looks like I’ve had it for years. I love a nice fancy packaging but I hate packaging that gets dirty super easily, like this, or NARS, or ABH palettes to name a few. But anyway, what really matters is what’s inside, right? I have only worn this once but I think this is a beautiful formula, it is very pigmented, very creamy and I found that it didn’t slip all over my face like some other lipsticks do. This color isn’t my all time favorite but I do like it, I just wonder if I could have found a better shade, but this was pricey and I like it so I for sure be using it. Back to the formula of this, I found that it lasted a pretty normal amount of time and did wear off as any lipstick would, so reapplication is needed if you plan on wearing it all day, but that’s something you should expect out of any lipstick really. This was super comfortable on the lips and looks really nice, so overall I am happy with this and was very much excited to finally get my hands on something like this. 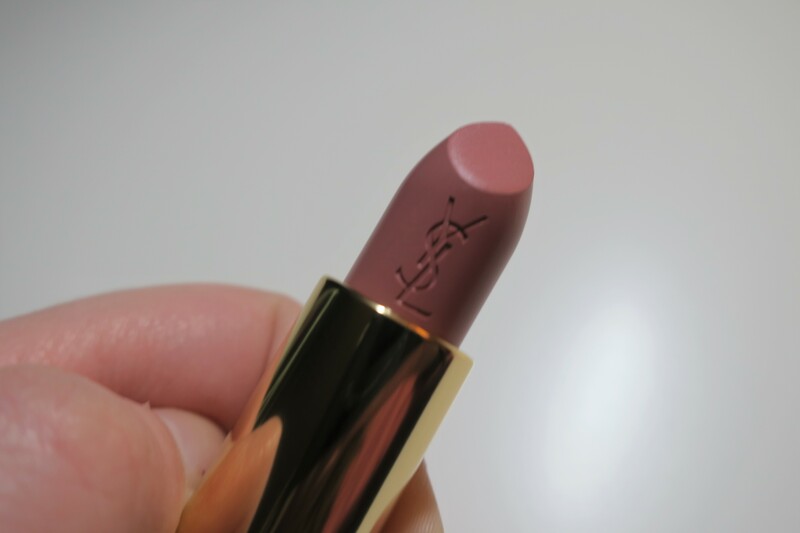 I am a lipstick lover and something about just owning this feels really cool and fancy, so I would recommend this if you are looking for something splurgy and higher end, but otherwise, I don’t really think a person needs a forty dollar lipstick. What are your feelings on luxury brand products?